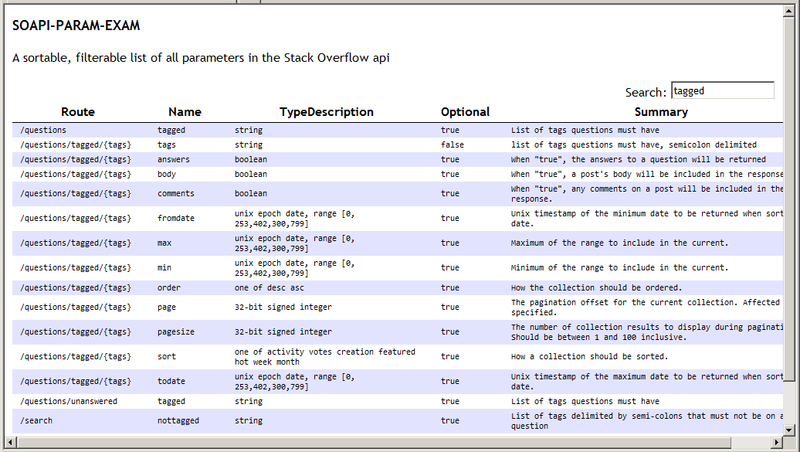 SOAPI-PARAM-EXAM is a little scooby snack of a tool that lets you get your eyes on all of the parameters in the api. This is useful for visually identifying inconsistencies in the api. It is also an example of leveraging the SOAPI meta data endpoint. You can view soapi-param-exam here, or simply save the source code below to an .html document.